Motivated by a desire to find healthy organic snacks for her children, author Veronica Bosgraaf decided to create her own and started on a journey to make her cooking and living more healthful. A result of this is her book, Pure Food, which features recipes that are simple and wholesome, and use real, seasonal foods rather than processed ones. 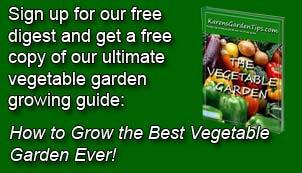 Most of the recipes are vegetarian but many are vegan and gluten-free too. In addition to recipes, Bosgraaf, provided many tips on ways to enhance healthy living. The recipes are presented by season so as to make the most of ingredients when they are at their peak. For each month Bosgraaf presents at least nine recipes using seasonal ingredients and provides a sample menu using the recipes and providing for breakfast, lunch, midday snack, and dinner with dessert. The offerings for March, for example, include gluten-free coconut pancakes, pickled vegetables, bibb salad with avocado, scalloped potatoes, vegan cabbage stew, carrot and curry soup, vegan keema, Irish hash, vegan orange cream pops, and warm pear crumble. All of the recipes include an explanation of the dish including why it is especially healthy, a list of ingredients and step by step instructions. Most of the recipes are simple and quick to prepare and a few are illustrated by a photograph in one section of the book. Scattered throughout the text are interesting and informative facts about food such as the nature of organic wines, the benefits of consuming vinegar, and the advantages of using tapioca as a thickener. Readers also can find a list of five ways to have a healthy lawn without chemicals, six detoxifying foods, and the seven most commonly used essential oils and their benefits. 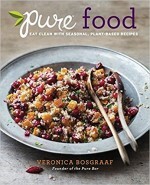 Pure Food is a refreshing look at eating a more healthy diet and living a healthier life. While many of her recipes are vegan, many are vegetarian and so are a nice complement to the diet of an omnivore. The easy to find ingredients make the recipes very doable even by the uninitiated, and the easy conversational style used for the introduction to each recipe creates a friendly, next-door neighbor tone that helps to demystify the challenges of a new diet. Bosgraaf zeros in on her pep gripes like genetically modified organisms but does so with sincerity and practical arguments. A good introduction to starting a healthy lifestyle. To buy Pure Food from Amazon.com Click Here.